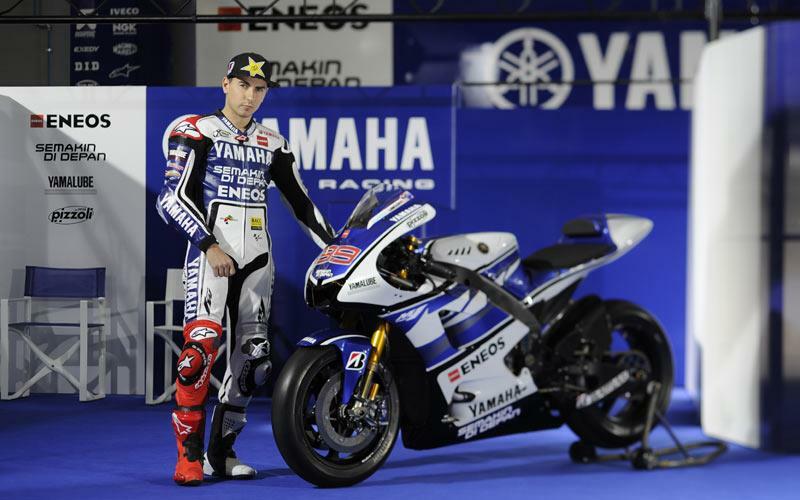 Jorge Lorenzo believes factory Yamaha team-mate Ben Spies will pose a serious title threat in the inaugural 1000cc MotoGP world championship in 2012. The Texan has won only one race in MotoGP but Lorenzo believes the new 1000cc YZR-M1 machine will help him become a much more consistent threat for victories this season. Lorenzo, who won the MotoGP title in 2010, said: “I think Ben has a very big talent. He is very fast, aggressive and likes the fight. I think last year he made a very good season because our bikes weren’t so competitive compared to the previous years when we won almost everything. "He won one race in Assen and conquered many podiums so for me he had a very good season. During winter testing he showed that with the 1000cc he feels a little bit better: he feels more comfortable as he can brake harder and open full throttle quickly. Lorenzo also believes that the 2012 title race is more wide open than in previous years and he backed Monster Yamaha Tech 3 duo Andrea Dovizioso and Cal Crutchlow to spring a few surprise results. He added: “Apart from Casey (Stoner) of course also Dani (Pedrosa) will be there. My team-mate Ben and also the two others guys at Yamaha. I am sure that Andrea can do a very good season as well as Cal Crutchlow. Lorenzo is convinced after the two Sepang tests in Malaysia that the new YZR-M1 has cut the performance gap to Honda that existed during the final 800cc campaign in 2011. But he said Yamaha still needed to focus on improving the acceleration of the YZR-M1 with electronics. He added: “We are in the process of an evolution of trying so many things during practice. In Sepang we tried so many parts: electronics, engine and chassis so we are throwing away the things that aren’t better and choosing the ones that are clearly better. We arrived to the conclusion that the priority is that we need to improve the electronics in the acceleration. "We are still not perfect, the bike moves a little bit, so if I can choose one thing to improve I would say that is the electronic system. We still have very good corner entry and corner speed.